Contrary to popular belief there is not merely one reception of the Qur’an. In other words, there is no single method of reading, understanding and interpreting Islamic scripture, but rather many. Islamic civilization today has over 1 billion adherents, a rich medieval scholarly-cultural tradition spanning over 1 millennium, and a growing number of new (Muslim and non-Muslim) confessional as well as reformist movements reading the text for a modern world. Demonstrating the complex layers of this diversity was the subject of an conference I convened on Communities of the Qur’an: Modern and Classical Interpretations of Islamic Scripture. Communities of the Qur’an was dedicated to intellectual inquiry as well as religious dialogue. At its heart this project asks the question, what is the dialectical relationship between the Qur’an and its “communities of interpretation?” How is the relationship between community and scripture mediated? Can a better understanding of each community’s reception, hermeneutics and cultural assumptions bring about a better understanding of the Qur’an for the 21st century? This project also seeks to revive the “ethics of disagreement” found in Classical Islam. 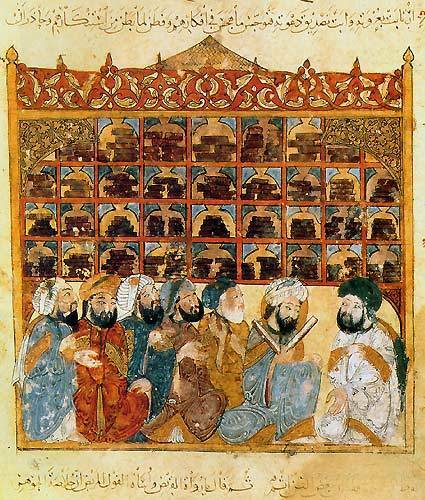 The Qur’an interpreters, jurists and theologians of medieval Baghdad, Cairo and Cordoba serve as examples of peaceful coexistence and tolerance in the face of vehement disagreement. On numerous occasions the historical record shows that Muslims from different legal schools or denominations, as well as Christians, Jews, Zoroastrians and others, agreed to disagree. There is little disagreement about the authenticity of the Qur’an text we possess today. communities developed in the shadow of scripture, and arrived at sometimes diverging interpretations of its key passages. These communities include Shia, Sunni, Ahmadi, Feminist and other interpretive traditions. When the text commands, “ask the people of remembrance if you know not” (Q 16:43; 21:7), is it referring to the guided Imams of the prophet Muhammad’s house, to Jews and Christians or another group? Similarly, are there modern re-interpretations of Q 4:34 which states, “men are greater than women” on account of their wealth? Does the text’s identification of its own narratives as the “Sunnah of God” (Q 33:38, 62; 40:23) and His “Hadith” (Q 45:6; 56:81; 77:50) facilitate or forbid the development of a new prophetic Hadith and Sunnah? These are some of the questions and key passages around which have gathered the Communities of the Qur’an. The challenges of today’s political climate seem greater than that of our predecessors. The religious, social and cultural diversity of the global Muslim community and the richness of its people’s traditions are under threat by extremist fundamentalism. It is Muslims themselves who have paid the greatest price for the intolerance, violence and ‘sectarianism’ undertaken in the name of religion. Furthermore, the discourse surrounding global terrorism and Islamophobia, which has spread in the wake of the September 11th attacks, 2001 and the Arab uprisings of 2011, has only polarized members on both sides of the debate. As a result, the Qur’an, Islam’s sacred scripture and an integral part of world literature, has become the subject of misuse and misunderstanding. More than ever before, leaders from within and without the global Muslim ummah have the opportunity to protect the diversity of Islamic civilization and promote religious tolerance as well as peaceful coexistence broadly speaking. The conference was hosted by The Boniuk Institute for the Study and Advancement of Religious Tolerance. It hosted presentations by eight international speakers (in order of presentations: Dr. Ingrid Mattson, Dr. Sajjad Rizvi, Dr. Ali Asani, Dr. Ahmed Subhy Mansour, Dr. Amina Wadud, Councelor Mujeeb Ur Rahman, Dr. Todd Lawson, Dr. Aminah Beverly McCloud), three panel chairs (Dr. Hina Azam, Dr. David Cook and Dr. Emran El-Badawi), welcoming remarks by Boniuk director and Rice University Professor, Dr. Paula Sanders, and parting words by philanthropist, Dr. Milton Boniuk. The conference took place March 10-11, 2016, and will eventually turn into a book. Visitors can access VIDEO to all eight presentations at the official conference website HERE. I hope this message reaches you well, and that you found our time together in San Diego, both enlightening as well as enjoyable. Like many of you, I had the pleasure of meeting old friends and making new ones. I speak for myself, council and all IQSA officers when I say that we are quite pleased with how the conference went. Our sessions were well attended, and the papers were engaging and thought provoking. Our current membership numbers over 450 from all around the world, and we had the pleasure of having over one hundred of them represented during the Friday sessions, especially the keynote lecture and reception. 50 people attended our first business meeting, at which prof. Farid Esack was unanimously voted president elect for 2015. We are, furthermore, heartened and impressed by the enthusiasm for IQSA–both within North American and internationally. Participants and audience members came from around the globe, including Indonesia, Iran, Egypt, Saudi Arabia, South Africa, Australia, Europe and North America. This all bodes well for IQSA, not least because this is just our second annual meeting. The task of IQSA’s executive office is now to keep up with this growth and accommodate our members for many future meetings. I am also happy to share with you that our success in San Diego played a significant role within the larger SBL / AAR conference, for the second year in a row. More on this and several other matters of business soon. Next, you may anticipate getting full access to the keynote paper by prof. Angelika Neuwirth and response by prof. Andrew Rippin. in December 2014. Soon after the New Year you should also receive news about Membership and Member Benefits for 2015. Current and past papers published by IQSA are available HERE (https://iqsaweb.wordpress.com/publications/papers/) and program books are available HERE (https://iqsaweb.wordpress.com/meetings/). On behalf of us all, I wish to thank our 2014 acting president Andrew Rippin, 2015 president Reuven Firestone, and congratulate as well as thank our 2015 president elect Farid Esack. Also special thanks go to Nicolai Sinai, Gabriel Reynolds, John Kutsko, Irfana Hussain, Vanessa DeGifis, Ryann Craig, Hakaya Productions and our friends at both SBL and AAR. I very much look forward to our meetings next year in Yogyakarta Indonesia (Aug, 2015) and Atlanta, GA (Nov, 2015). Finally, thank you all for making IQSA a success! I offered an undergraduate course last spring for the first time on the Qur’an as Literature. My goal was simple, I wanted my students to read the text closely and interpret its verses themselves. Their apprehension, at first, to commit to this bold exercise soon gave way to an ease and skill with handling the text. Framing this course on the Qur’an as “literature” emphasized the literary qualities of the text and de-emphasized a theological approach. It meant going deep into the rhyme, rhetoric and homiletic nature of the text. It also entailed divorcing the text, to some extent, from Tafsir. I took some cautionary notes from Andrew Rippin’s article on the pitfalls of “The Qur’an as Literature,”, but some of this was new territory for me. This course examines the content and literary style of the Qur’an and in the context of the late antique Near East, ca. 2nd-7th centuries CE. We will read the text alongside the texts belonging to the “People of the Scripture” (ahl al-kitab), i.e. Christians and Jews, and other religious groups explicitly mentioned in the Qur’an. Their scriptures include the Hebrew Bible (al-Tawrah), the New Testament (al-Injil), Zoroastrian texts (cf. al-majus) and Arabian prophetic speech (shi‘r kahin). This comparative approach will provide students with a rich understanding of the Qur’an as an integral part of world literature, and challenge contemporary and traditional assumptions about the text. This approach will also allow the Qur’an to speak for itself, rather than reading it through the eyes of medieval interpretation (Tafsir) or prophetic tradition (Hadith) which began in the 9th century CE. This course also exposes students to some of the scholarly challenges of studying the different layers of a text (Meccan vs. Medinan), identifying its audience, trying to construct the history of its transmission (oral vs. written) without much evidence, and to the limits of translation. Fortunately, the class size was fairly small, 15 or so, and students came from different religious as well as cultural backgrounds, which made for much lively discussion and debate. Students were pushed to think critically and in a systematic function about the Qur’an, as well as challenge their own assumptions about the text. 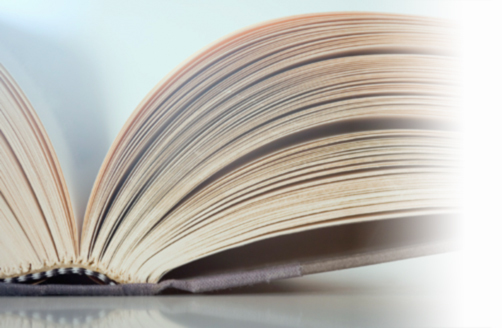 For students I find two principle barriers that stand between them and the Qur’an. These are the ‘politicization of the text’ on the one hand, and the ‘confusion of the text with traditional interpretation’ on theother. More broadly speaking, I wanted them to appreciate scripture not just as a religious text, but as an integral part of world literature that holds value in the academy. For an undergraduate course like this, all instruction and materials were in English. Reading materials included How to Read the Qur’an by Carl Ernst (who incidentally has a terrific course on this subject!) and several supplementary articles including: a rhyming translation of Q 93-114 by Shawkat Toorawa, a qur’anic reading of the Psalms by Angelika Neuwirth, and a humanistic reception of the text by me. Students were encouraged but not required to buy a translation of the Qur’an, given the plethora of translations online. (Although for practical purposes we used Yusuf Ali’s translation during class time). Finally, included in the course materials were sections of the Hebrew Bible, New Testament, post-biblical exhortations (e.g. 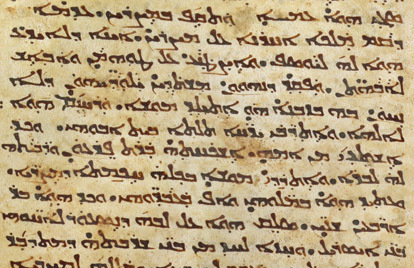 Ephrem the Syrian), Zoroastrian texts and Pre-Islamic poetry. For some students it was the first time they had read the Qur’an; for others the first time they read the Bible. In both cases, students expressed how pleased they were at this eye-opening experience and fruitful exchange. Teaching this course was a tremendous learning experience for both the students and myself. The students learned how to navigate a sometimes unwieldy text and appreciate its tremendous contribution to the world in which they live. Collectively, we learned that as long as one approaches any scripture respectfully as well as critically, the task of understanding it becomes that much easier. Andrew Rippin, “The Qur’an as literature: perils, pitfalls and prospects,” Bulletin of the British Society for Middle Eastern Studies, 10.1, 1983. Carl Ernst, How to Read the Qur’an: A New Guide with Select Translations, Chapel Hill, NC: University of North Carolina Press, 2011. Shawkat Toorawa, “’The Inimitable Rose’, being Qur’anic saj‘ from Surat al-Duhâ to Surat al-Nâs (Q. 93–114) in English rhyming prose,” Journal of Qur’anic Studies, 8.2, 2006; Angelika Neuwirth, “Qur’anic readings of the Psalms” in Ed. Angelika Neuwirth et al. (eds. 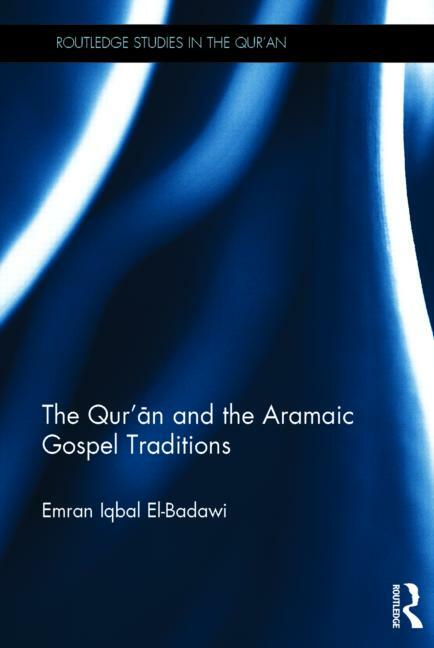 ), The Qur’an in Context, Leiden: E. J. Brill, 2009; Emran El-Badawi, “A humanistic reception of the Qur’an,” Scriptural Margins: On the Boundaries of Sacred Texts, English Language Notes, 50.2, 2012. In it, they discuss “two themes of religious exhortation which reflect the extraordinary dialogue between the Qurʿan and the biblical literature of late antiquity”: 1) prophets and messengers and 2) promises and threats. Our newly designed website is now online, and we hope visitors find it practical, as well as elegant. A number of helpful improvements were made, including translating the “About Us” page into Arabic, Turkish, Bhasa and French. Translations into further languages will soon follow. 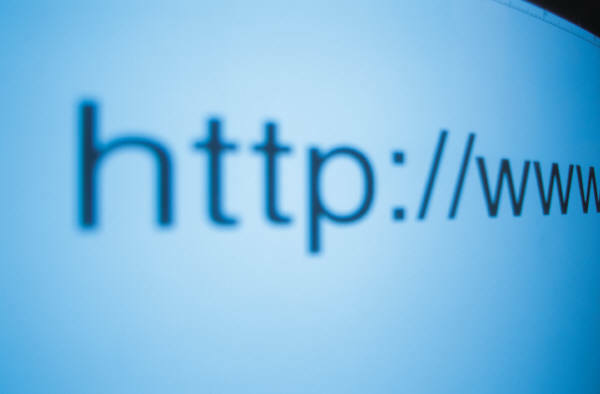 We hope this to be of most benefit to visitors who access our website from around the world. A number of graphical enhancements were made throughout the web pages, including our new logo. We are also happy to share photographs of IQSA’s officers and steering committee under “People.” That being said, the overall platform of our web platform remains relatively unchanged. Visitors will be notified when the “Conference Papers” page starts being populated. We hope to make further changes to our website in 2014, which will include setting up the architecture to host IQSA’s online journal. Until then, visitors should await further news about the 2014 annual meeting in San Diego, as well as future international meetings. Our thanks go to Mehdi Azaiez, Mun’im Sirri, Esra Tasdelen and Leanova Designs.